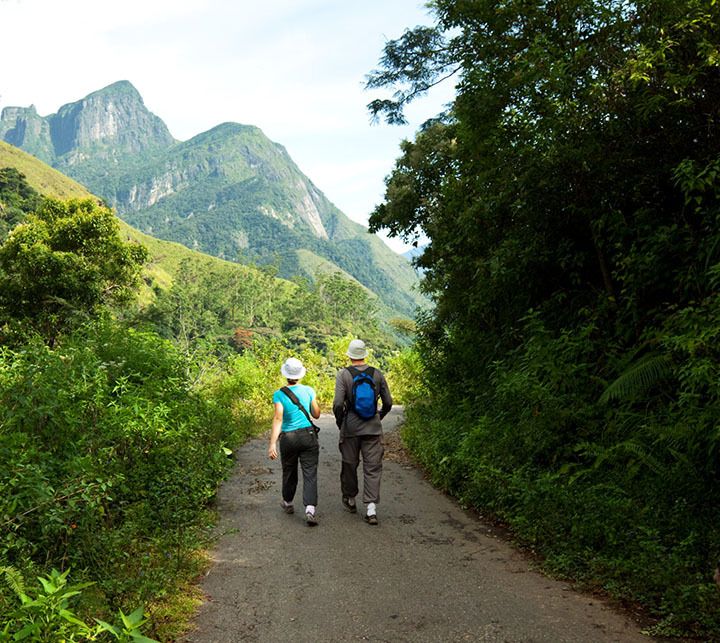 Get up close and personal with this mesmeric land by trying out our expertly designed Trekking tour in Sri Lanka. It is made for the intrepid, nature loving traveler seeking anything but the ordinary. 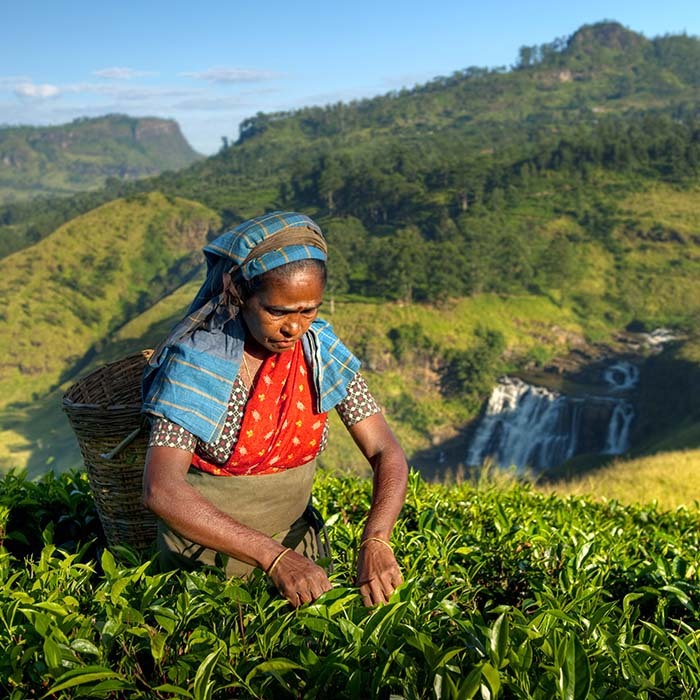 Get your feet on the ground and walk through some of Sri Lanka’s remote regions abundant with dashing waterfalls, rare creatures and skyscraping mountain peaks. With an average of 5 hours’ hiking a day, you will discover three different terrains including mountain, beach and forest. 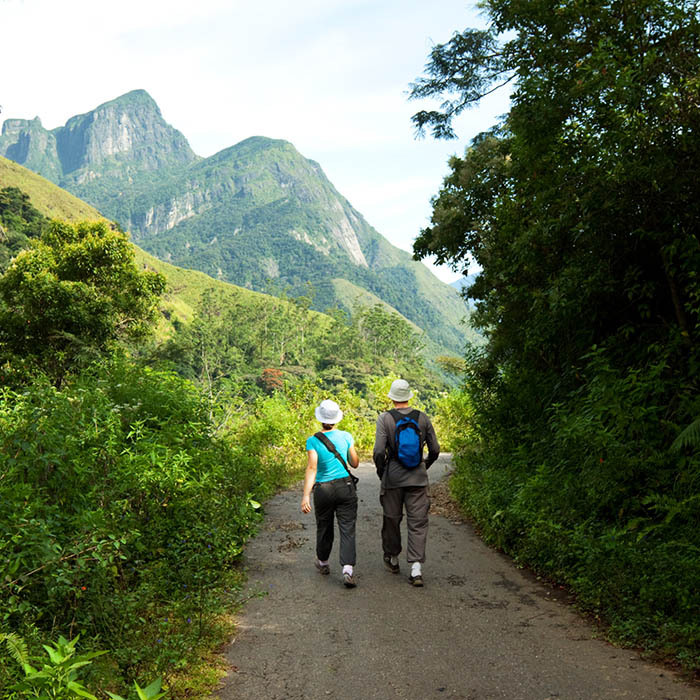 On your way you will encounter several UNESCO World Heritage Sites such as the Knuckles Mountain Range, Horton Plains and the Sinharaja Rainforest. There is also no better way to immerse in local culture and mingle with the local people. We will customize your trekking tour and take care of the rest; all you have to do is get those trekking boots on! Meet and assist at the Bandaranayake International Airport on Arrival by a representative of Mai Globe Travels. 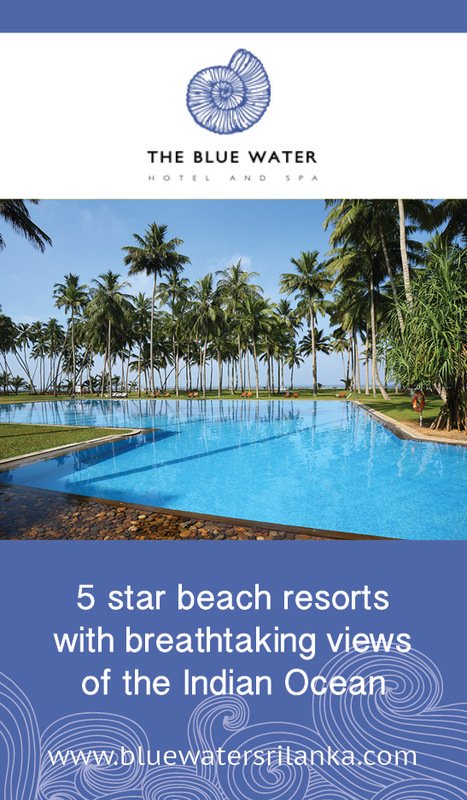 You will head directly to Sri Lanka’s second largest city which is also the country’s last royal kingdom. 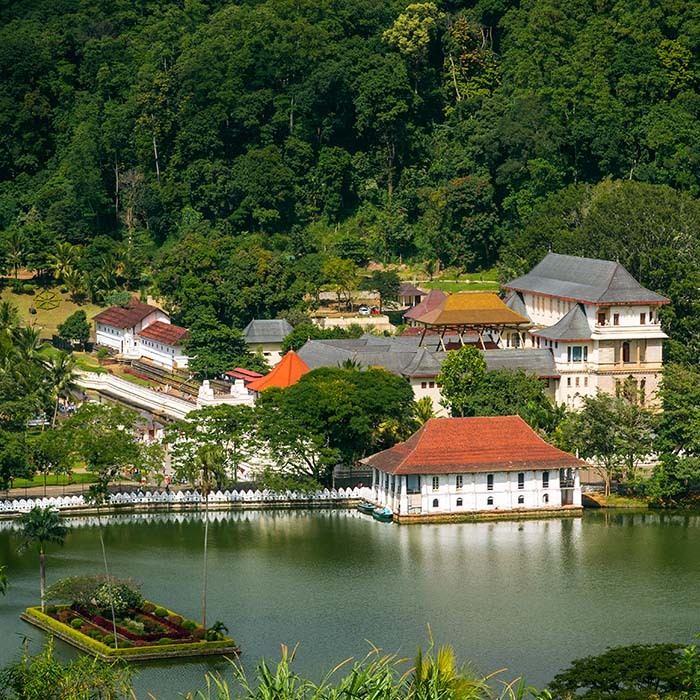 Get a taste of the impressive city of Kandy, starting with the world renowned Temple of the Tooth Relic and then enjoy a relaxing walk around the Kandy Lake, visit the town center, the arts and crafts center and the vibrant bazaar. Check in at your hotel and relax. We recommend the Kandyan dance show. Dinner at leisure. Your professional trekking guide will be the first person to greet you this morning. Hop on to a jeep, travel to Mimure in the Knuckles Range and get down to business. Your trekking experience will start from a village and advance uphill to a local forest. Enjoy a picnic facing the majestic Knuckles Range. As you hike your way through, you will witness spectacular waterfalls and reach amazing heights from where you will get a bird’s eye view of the splendid surroundings. 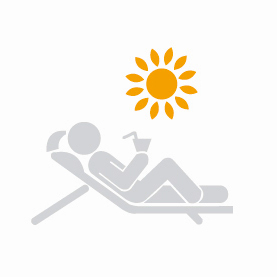 The weather may change without any warning from bright sunshine to fog and even rain. You will reach your base camp early evening giving you time to enjoy a fire camp and dinner. Overnight in tents. 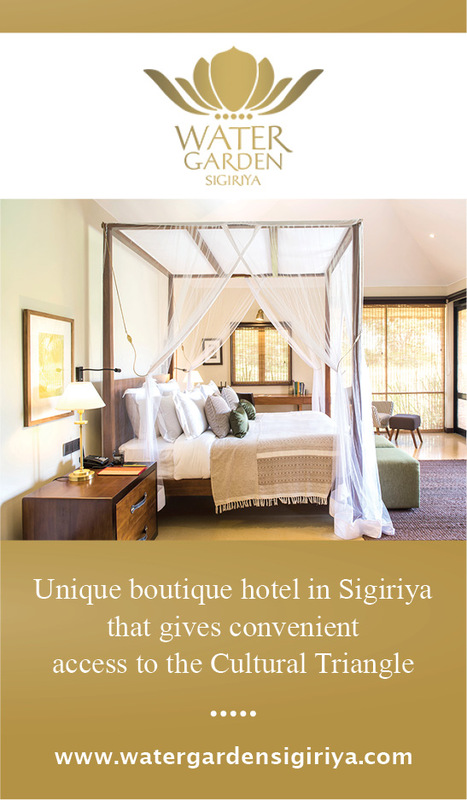 Savor an invigorating breakfast and hike down the valley to reach the final hiding place of Sri Lanka’s last King, Sri Wickrama Rajasinghe. It was from here where the King was captured by the British army. 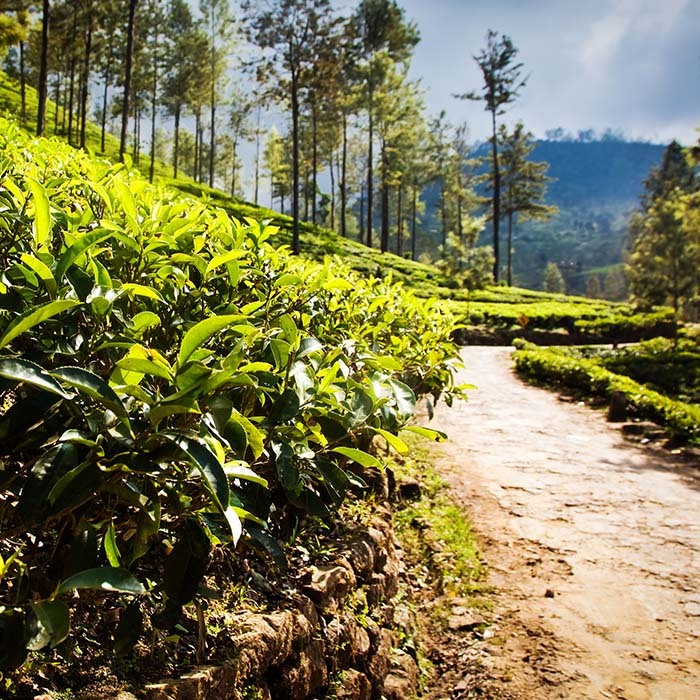 Although the landscapes are diverse, ranging from dense forests to neatly grown tea plantations, they all have one thing in common; they are all ‘spectacular’. If today is your lucky day you might even come across some fascinating animals such as squirrels, lizards, deers, monkeys, elephants and buffaloes. A majority of animals and plants found here are endemic to Sri Lanka and in some cases to the entire region. There are 160 endemic flowers and some of these flower plants do not grow anywhere else in the world. Enjoy a picnic lunch and walk up to Bomure, from where the jeep will pick you up. Short transfer to Kandy where you will be met by the chauffeur. Drive towards Nuwara Eliya. Arrival and check in at your hotel. Dinner at the hotel (included). 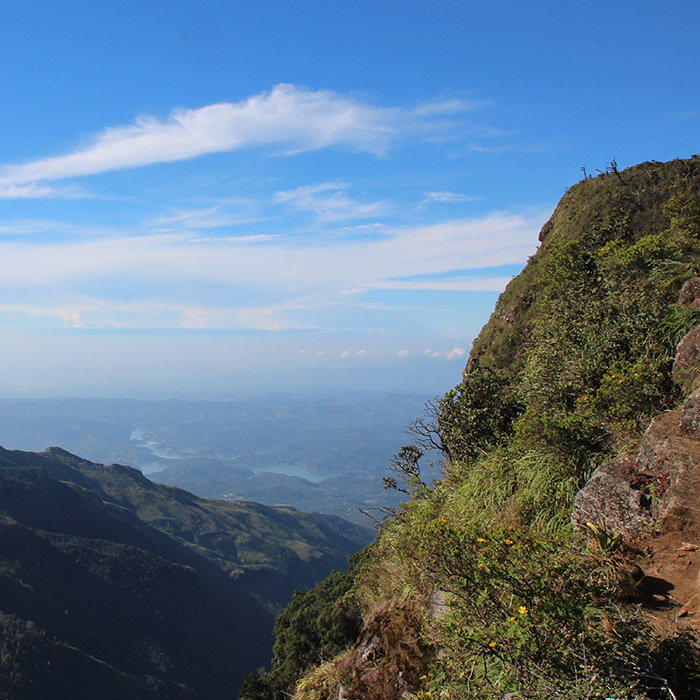 Today, you will be transferred to Horton Plains National Park, way before before the sun makes its way. Another professional trekking guide will meet you at the gates of the park and he will brief you on the upcoming events. You will then begin hiking in the national park classified as a UNESCO site for its unique landscape and fauna. You will continue through villages and paddy fields. Arrival in the village of which you will be staying overnight. You will be met by the hospitable family hosting you. Enjoy a delectable local dinner (included). 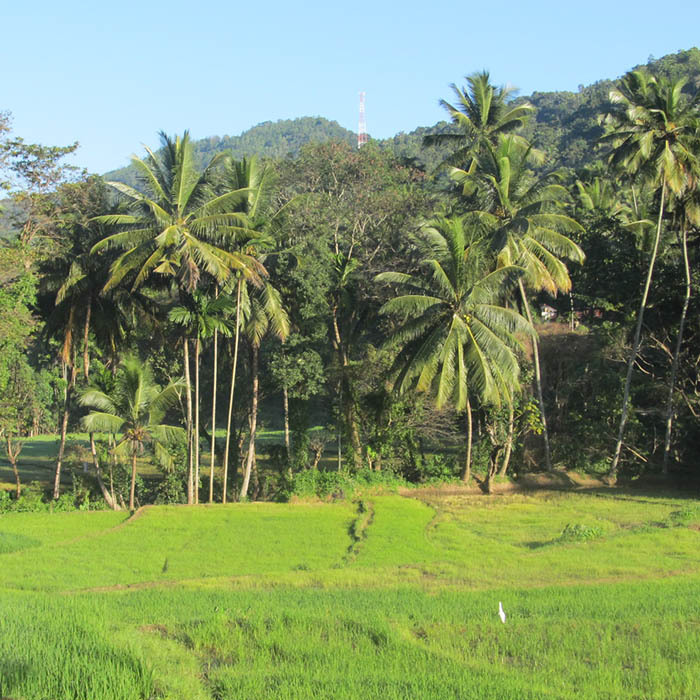 Recommence your hill country hike, passing through diverse forests, plantations, gardens and paddy fields whilst mingling with the locals and getting a taste of authentic village life. The weather may change anytime in this part of the country, so be prepared for some surprises. Dinner (included) and overnight at a homestay. Hike through Bandarawela’s, verdant vegetable and fruit fields as your trekking guide provides you with some valuable insights on the plants. Walk by paddy fields and speak to the busy people working in the fields. Enjoy a picnic lunch surrounded by nature. In the afternoon, you can continue hiking and later be transferred to your accommodation in Diyatalawa. Check-in and relax. Dinner at leisure. Following your breakfast you will be taken to the Udawalawe National Park, moving away from the hill country. 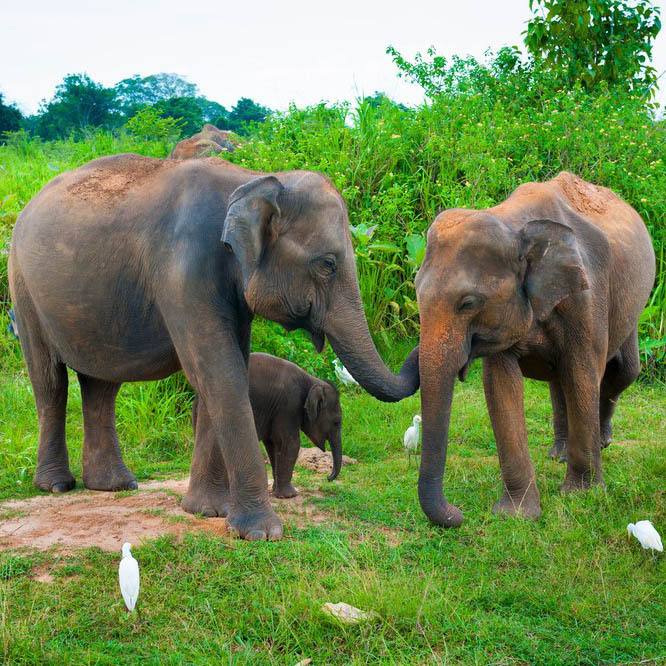 The Udawalawe National Park is a unique eco-tourism hotspot famed predominantly for its vast elephant population that can be spotted either on the banks of a lake or in the dense jungle. Deers, buffalos, and a good variety of birds can also be seen here. Your driver with the experience of spotting animals hiding amid bushes and trees will help you see flora and fauna that you would otherwise miss. Afterwards, check into your hotel and relax. Dinner at leisure. After breakfast leave to visit the Elephant Transit Home to see the baby elephants. When morning comes, you will proceed on a narrow, winding road to the Sinharaja Rain-forest, a UNESCO World Heritage Site. 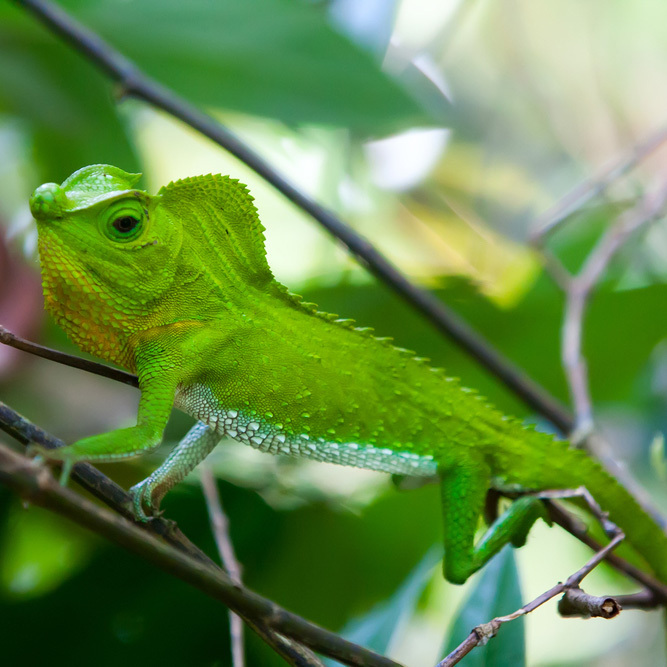 This lowland tropical rain-forest is home to 95% of Sri Lanka’s endemic birds and shelters a wide array of endemic butterflies, fish, reptiles, mammals as well as flora. 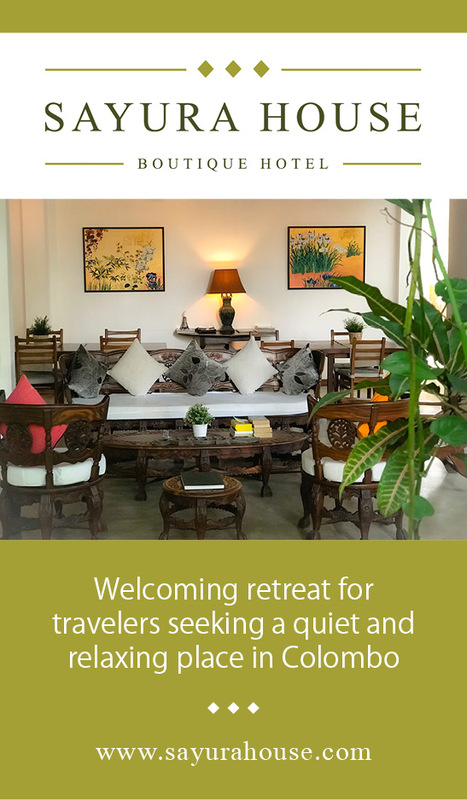 Check in at your Eco Lodge, relax and enjoy the quiet ambiance. Embark on an evening trek in the rain-forest. Head back to the hotel. Dinner at leisure. Watch how life unfolds in the dense rainforest during daytime. 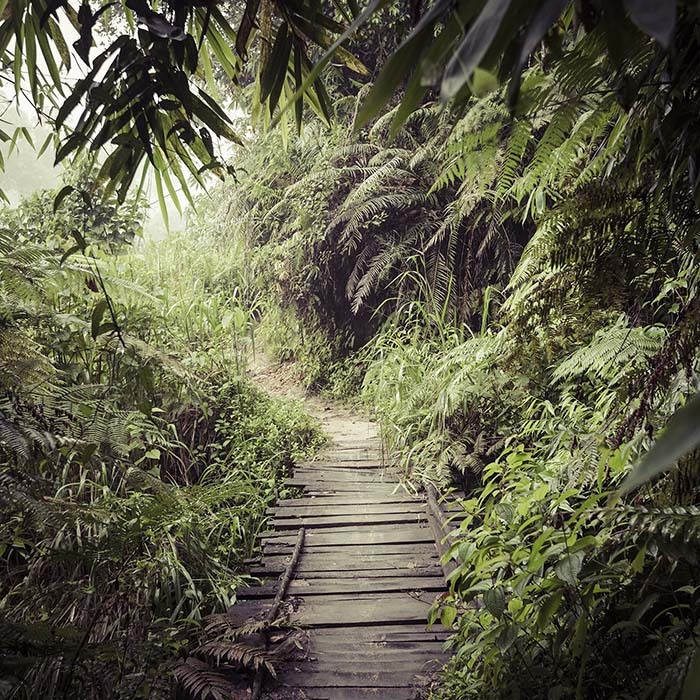 Enjoy a free day and trek the rainforest on your own. You can hire a guide at the entrance and discover the rainforest trails. Beware of the common leeches and get some advice from your guide on how to prevent them. 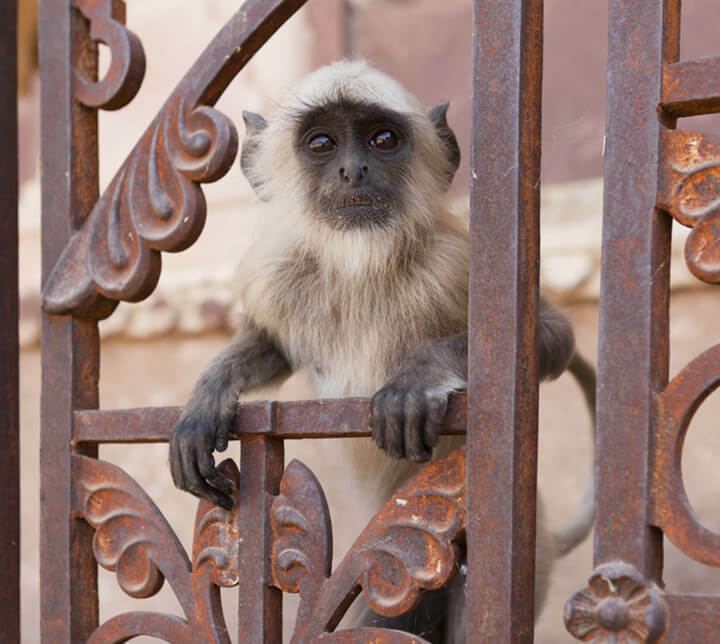 With a bit of luck you will see exotic birds, monkeys and many other indigenous animals. 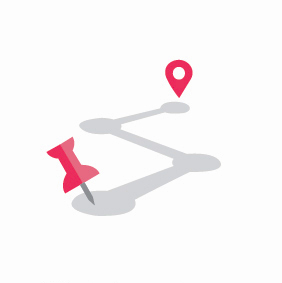 You have the possibility to choose your circuit among several routes, according to your desires and your level. Be careful with leeches, plan for pants / leggings and socks! Dinner at leisure. After breakfast, you take the road to the south coast of the country which is a very popular destination umong tourists, this coast has some hidden beauties, such as the Unawatuna beach, a large bay bathed in turquoise waters. 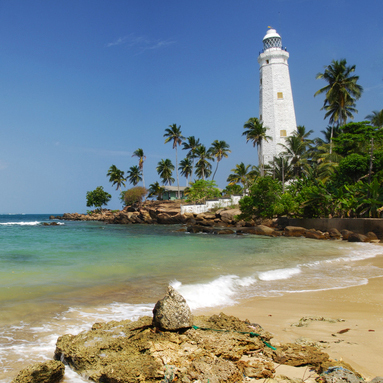 Enjoy a moment of relaxation on the beach before joining the city of Galle and your lodging which is inside the fort. Visit Fort Galle on foot, stroll through the alleys and stock up on souvenirs in the small shops of the fort. You will find decoration, clothing, jewelry... Then walk on the ramparts at sunset. Dinner at leisure. 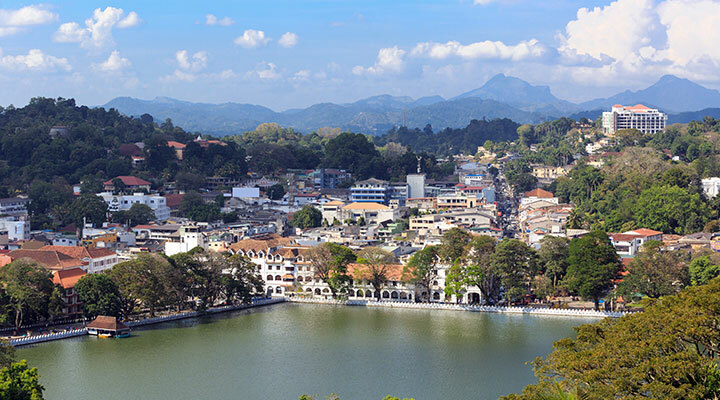 Drive along Sri Lanka’s first highway to reach Colombo, the economic capital of Sri Lanka. Enjoy a city tour, discover the Colombo Fort and the Pettah area, and walk along the Galle Face Green. 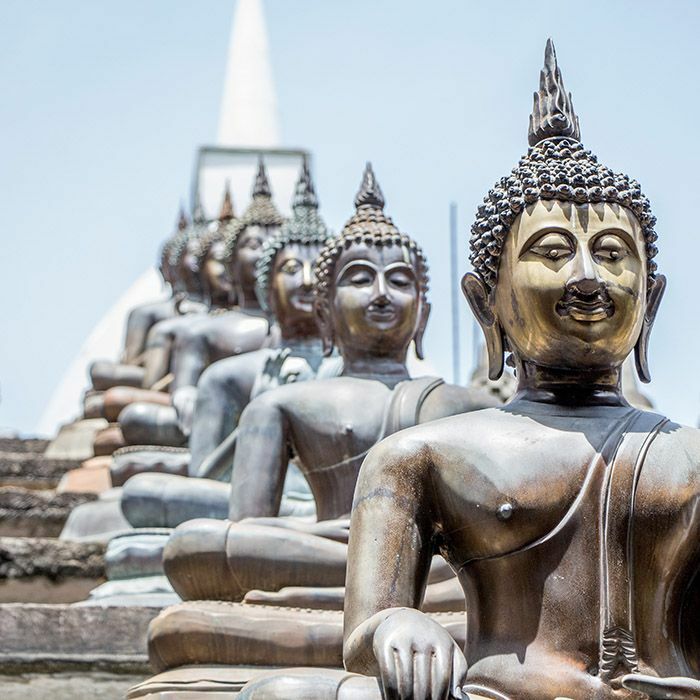 Your trip will not be complete without a shopping spree in Colombo so do your last minute shopping before you transfer to the Bandaranaike International Airport.